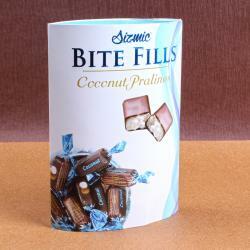 Product Consists : Box of Chocolates Dates Almonds (Weight : 140 gms). 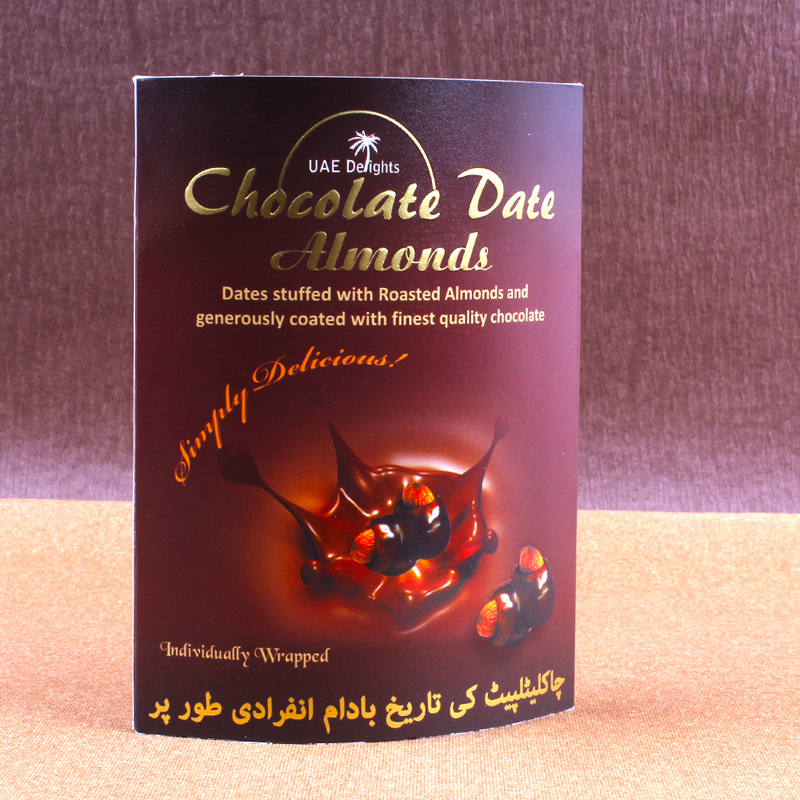 UAE Delights Dates stuffed with Roasted Almonds and generously coated with finest quality chocolate. These chocolates dates are individually wrapped for their safety in transit. 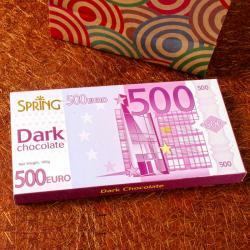 Chocolates are very rich in taste. Chocolate lover will appreciate the harmonious and lingering character of this delicacy. This gift combo is comprises of chocolates and toffees. The combo includes one goodie bag filled with butter toffees and one packet of chocolate date almonds. Delightful gold wrapped butter toffees are chewy and lip smacking. Buttery toffee is sweetened with milk for creamier and more indulgent taste. This gift combo is bound to bag appreciation from the receiver. 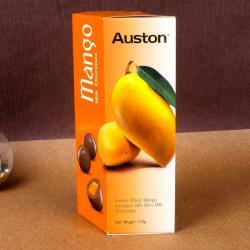 Product Includes : Box of Chocolates Dates Almonds (Weight : 140 gms).